Cory Smoot, the guitarist who played Flattus Maximus in the shock rock band GWAR, was found dead this morning (Nov. 3rd). In a statement issued to Metalsucks, GWAR frontman Dave Brockie said Smoot was discovered as the band prepared to cross the border into Canada (they are due to play Edmonton on Friday). Smoot’s cause of death is not yet known. Smoot joined the band in 2002 and was the longest serving member to play the Flattus Maximus character. In addition to serving as the band’s guitarist, Smoot also co-produced GWAR’s 2006 and 2009 albums, Beyond Hell and Lust in Space. Below, you can watch video of GWAR’s recent Halloween appearance on Late Night with Jimmy Fallon. Brockie’s full statement to Metalsucks can be read further after that. 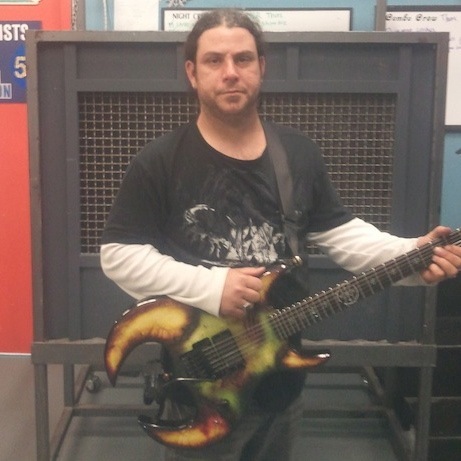 It is with a sense of profound loss and tragedy that the members of GWAR must announce the passing of their long time guitarist and beloved friend Cory Smoot, also known to thousands of metal fans worldwide as Flattus Maximus. Cory was found deceased this morning as the band prepared for a border crossing. There is no word as to the cause of death and the members of GWAR are completely shocked and devastated that this has occurred. At this point there is no word on arrangements and the disposition of the remainder of GWARs current North American tour, nor are there any details regarding long term plans. At this point we are just dealing with the loss of our dear friend and brother, one of the most talented guitar players in metal today. We ask that our fans and the media be respectful of our request for privacy for those that have suffered this terrible loss. A full statement will be coming in the next day or so, in the meantime please give your thoughts and your prayers to Cory, his family, and all the people that love him. Video: Green Day – "Carpe Diem"